Dr. Mark Williams, Fellow at the Institute of Arctic and Alpine Research and Professor of Geography, at the University of Colorado, received his Ph.D in Biological Sciences with an emphasis in ecology from the University of California at Santa Barbara in 1991. He is also on the core faculty of Environmental Studies. His research interest is the ecology of mountain areas, looking at the interaction of organisms with their environment, focusing on classical environmental variables such as soil, rocks, and minerals as well as surrounding water sources and the local atmosphere. Mark has current or past research activities in many of the mountain ranges throughout the world, including the Rocky Mountains, Sierra Nevada of California, the Tien Shan and Qilian Shan, China, Andes of South America, European Alps, and the Himalayas. Mark is on the faculty of the Hydrology Program in Geography and his classes can be used to satisfy the Hydrology Certification Program in Geography. Mark is the PI of the Niwot Ridge LTER program and a co-I on the research project: Contribution to High Asia Runoff from Ice & Snow (CHARIS). He was elected a Fellow of the American Geophysical Union in 2012. He was a Fulbright Scholar in Ecuador in 1999 and is a current Fulbright Scholar in Nepal for 2013-2014. Mark's research was featured in this joint NSF/CU press release on 12 January 2016: NSF DISCOVERY: Colorado high peaks losing glaciers as climate warms . Channel 7 news Denver interview . Story picked up by many dozens of newspapers: New York Times ; Colorado Public Radio ; Denver Post ; Boulder Daily Camera . Daniel Cordalis, JD/PhD candidate in ENVS; Daniel, a member of the Navajo Nation, is primarily interested in water policy and how Indian tribes can ensure their proper allocation of the resource, but also is interested in promoting Indian policy and initiatives on the national level. He has received his JD degree and has advanced to candidicy in ENVS. Alana Wilson, MA student Surface-groundwater interactions of the major rivers of High Asia. Qinghuan Zhang, PhD student Modeling the hydrology and hydrochemistry of the Boulder Creek Watershed. Alice Hill, PhD student Modeling the hydrology of glacier-fed rivers in High Asia. Bunyamin Yilmaz, MA student Full scholarship from Turkey to develop a terrain-based model of potential avalanche activity. Kelsey Dailey, MA student in ENVS; Kelsey is starting her first year as an MA student working on biogeochemical cycling for the NWT LTER program. Rory Cowie, PhD 2014 Surface-groundwater interactions in mountain catchments. Currently, post-doc with Noah Molotch's group at CU-Boulder. Katya Hafich, MA 2014. Biogeochemical cycling at high elevations. Currently working with the Office of University Outreach, her dream job. Morgan Zeliff, MA 2013. Mountain groundwater. Currently a Senior Manager at Center for ReSource Conservation in Boulder CO. Her name is now Morgan Shimabuku. Adina Racoviteanu, PhD 2011 Glacial hydrology in the Himalaya's. Currently, Post Doc at LGGE, Grenoble France. Jennifer Petrzelka, MA 2011 Snow response to climate change. Currently, hydrologist for the city of Greeley. SE USA. Adrianne Kroepsch, MA 2011 Hydrology of coalbed methane deposits. Currently a PhD student with Patty Limerick at CU-Boulder. Rory Cowie, MA 2010 Surface-groundwater interactions in mountain catchments. Currently, post-doc with Noah Molotch's group at CU-Boulder. Jordan Parman, MA 2010 Water chemistry of mountain streams along an elevational gradient, Colorado Front Range. Currently, Water quality technician, Denver Metro Waste Water. Ashley Nielson, MA 2008 Hydrology of an alpine wetland. Currently: Hydrologist for the National Weather Service at the Colorado Basin River Forecast Center in Salt Lake. Ken Hill, MA 2007 Ken is now working with the National Park Service in Alaska. He works with the Inventory and Monitoring program in 8 parks (Denali, Wrangell-St. Elias, etc). Daniel Cordalis, MA 2007 Hydrology of an acid mine site. Currently: PhD student. Meredith Knauf, MA 2004 Hydrochemistry of rock glaciers. Currently: environmental scientist, Trihydro Engineering, Laramie, Wyoming. Adina Racoviteanu, MA 2004. Sacred mountains. Currently: PhD student. Andreas Torrizo, MA 2002, hydrogeologist, Ross Environmental Associates, Inc., 36 Stowe, VT.
Tom Davinroy, PhD 2000 Hydrology and biogeochemistry of talus fields. Currently: Assistant Professor, Metropolitan State College of Denver. Mark Rikkers, MA 1998 Meltwater flow through snow. Currently: executive director of the dZi Foundation, which partners with underserved communities in remote regions of the Himalaya to build sustainable locally-driven programs that improve quality of life through advancing education and health while reducing poverty. He is also a guide for Telluride Helitrax and does their avalanche forecasting. 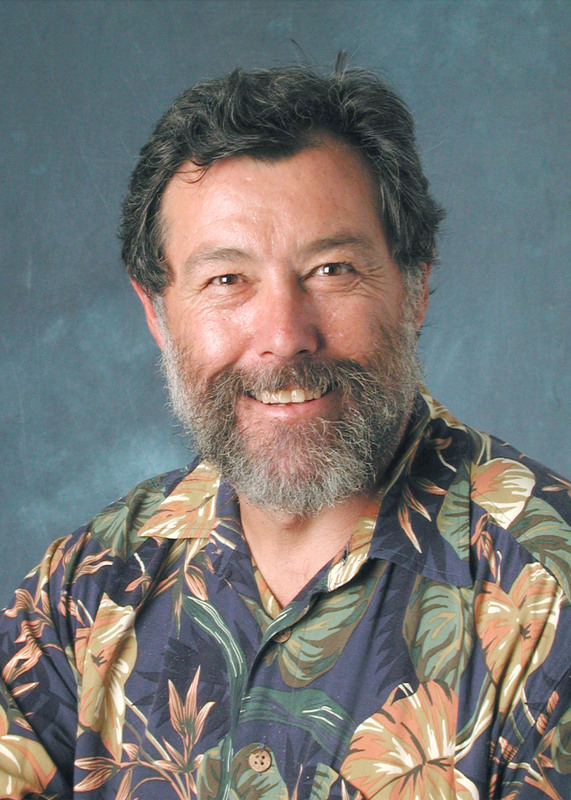 George Ingersoll, MA 1994, Hydrologist, USGS.